On Christmas Day, two of the hottest NBA stars will sport ROKiT logos across their chests during one of the biggest game-watching days for the league and its super fans. Although some of the fans watching may not know ROKiT yet, they will take note as Houston Rockets players James Harden and Chris Paul hit the courts wearing the company’s logo. 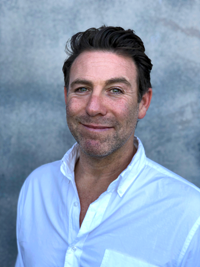 Founders’ Jonathan Kendrick, a serial UK entrepreneur, and John Paul DeJoria, creator of Paul Mitchell hair care products and Patrón Tequila, are pushing the envelope with the launch of affordable mobile devices that they say will have dramatic impact on the day-to-day life of consumers. ROKiT devices are low-priced and can come preloaded with a year of humanity-first bundles like health services (such as telemedicine and access to board certified medical providers without providing insurance), wifi calling (with WhatsApp and Facebook) so consumers aren’t tied to a carrier, legal services (such as help with a will or bail), ID theft protection and roadside assistance. Other devices will have naked eye 3D available with an array of 3D content in addition to being equipped with NASA-patented technology—the result of a recent partnership. According to ROKiT CMO Clinton Ehrlich, the buzz of the two massive sports deals—in addition to an announcement in India that will provide a mesh network in 27 cities for full connectivity on ROKiT phones at all times—were a reason the mobiles has already sold out. Ehrlich recently sat down with Evan Vladem of AIS Sports to discuss the launch of ROKiT and how it is looking to sports to kick off its initial marketing platform. EVAN VLADEM: It’s been just a couple of months and ROKiT is making huge moves across the globe. You guys have a very unique approach. Tell me a little bit about your marketing angle. CLINTON EHRLICH: First off, we are a new brand. We are also doing something unique in this space. Nobody offers the types of services that we offer with anything, let alone a phone. We believe that your phone is the center of everything. We looked at that model and said, it should be how everything should be accessed. It’s how you connect to your doctor, it’s calling for legal serves, and it’s how you can connect to roadside assistance. First and foremost, our goal, and my goal, is to let people know who we are, I’m not necessarily trying to sell anything right now. I want people to understand who we are as a company, what we do, and the types of services you can get. EV: Why did you decide to use sports sponsorships as a platform to tell that story? CE: When we started thinking about how do you get front and center with people that are paying attention and tuned-in—sports was the natural fit. When we looked at where we are, a new company doing new things, the LA Chargers seemed like the perfect fit. They are new to the city. 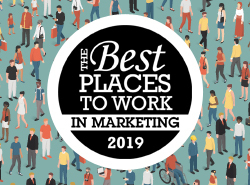 Where they are in their business is very similar to where we are in our business and the fact that they were new to the city was a natural alignment. As we began discussing more goals, we centered on giving back and community, helping people and letting them know that we are humanity first. It just felt like the perfect fit. That was the first in sports marketing for us. EV: You stress that ROKiT is a humanity-first phone and the vast support of the military, especially with your LA Chargers partnership. Why are you pushing so hard to get this message across so early? CE: Everybody deserves everything that we do. The reason why the military is at the forefront of everything now is that John Paul, our co-founder, was a Vietnam veteran and he was homeless, twice, and had lived in his car. It is important to us as we are just getting started for people to really believe and understand us. We need to build trust in our brand so that when we say we are humanity first we actually mean it and are actually doing things. EV: Can you give me an example of what you’re doing? CE: We just participated in two veteran and active service member events and donated 150 devices with the Chargers. With the Houston Rockets we did a Hoops for Troops event and donated devices. We are going to continue to donate devices to their housing project where service members affected by Hurricane Harvey needed help in rebuilding houses. 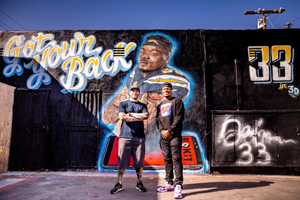 The mural of Los Angeles Chargers player Derwin James. EV: ROKiT signed standout rookie safety Derwin James as a brand ambassador. It has already rolled out content and a branded mural of James in LA (at the same site of the infamous LeBron James Welcome to LA mural). Talk about how the overarching Los Angeles Chargers deal comes to focus by utilizing a player too. CE: When we started looking at players with the Chargers, my first request was we are really looking for players that align with who we are; and not just on the giving back part, but that we are new, and we are getting started. After breaking it down to a short list of players, Derwin James made sense. He is a young rookie who is an incredible guy, really focused, believes in giving back. He is in his rookie season, we are in our rookie year. We are trying to show the world what we can do and he is doing is really well right now. He has lived up to the hype. EV: Your jersey patch deal with the Rockets is intriguing. Why was Houston the NBA team you went with after negotiating an NFL deal in LA? CE: Houston is one of the fifth largest growing economies in the U.S. I can’t ignore the fact that they are called the “Rockets” and we are ROKiT. To be able to have ROKiT on a Rocket’s jersey was one of those things that was a nice, extra piece. A team like the Rockets is at center stage too. When you start getting down into another organization that really believes in giving back and is very community oriented, it just made a lot of sense for us. EV: Right now, your biggest marketing platform is sports. Will that change as you continue to grow? CE: We happen to be focusing of sports right now because we think this will make sense for our current goals, but I don’t think we are only going to be focusing on sports. With the sports audience, you have people that follow teams so religiously that they are captive for us to get started with and we just want them to know who we are. When they believe in a sports team, we are just hoping that some of that trust will come over to us because obviously those teams are going to make decisions and partner with brands that makes sense for them as well. EV: What other markets are you in? CE: We will be rolling out globally and nationally. We have offices in India, Japan, UK and throughout Europe. We are going to be doing things in China and Mexico too. We want to build out the current deals and make sure that we can best represent our partnerships first. We want to make sure our brand comes to life in those markets. 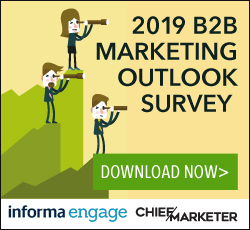 EV: As the CMO of ROKiT, what is the biggest challenge you’re facing? CE: The hardest thing to get people to understand is what we include with our devices. It’s a hard thing for people to generally comprehend because it is very different. The driving message for me is, I just want people to understand who we are and what we do and why it is different. And that’s really it. It’s building that trust first.